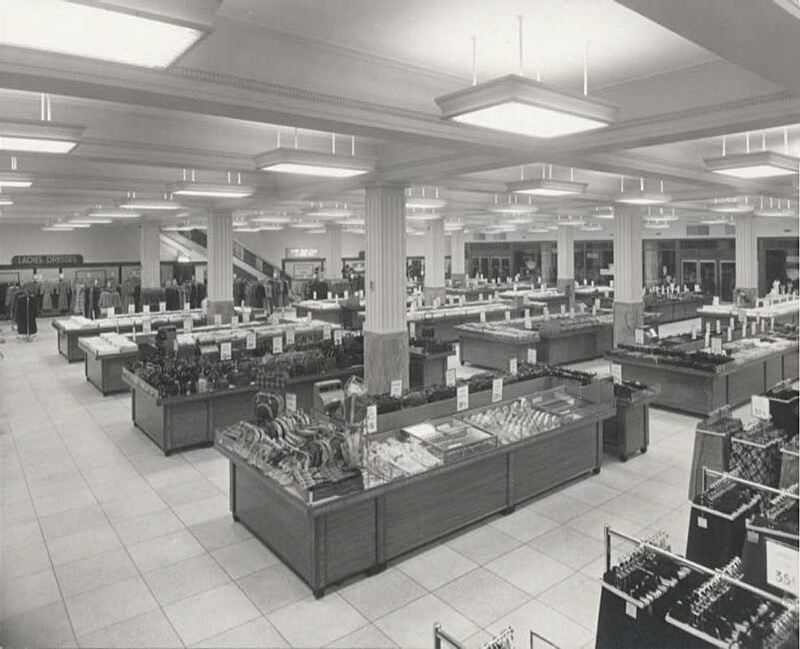 The store was continuously improved, and an escalator was installed in 1964. 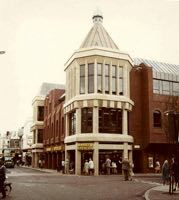 However, by the 1970s, plans were afoot to close 247 High Street and move into larger premises, on the edge of the Golden Heart project that was being built behind the Guildhall. 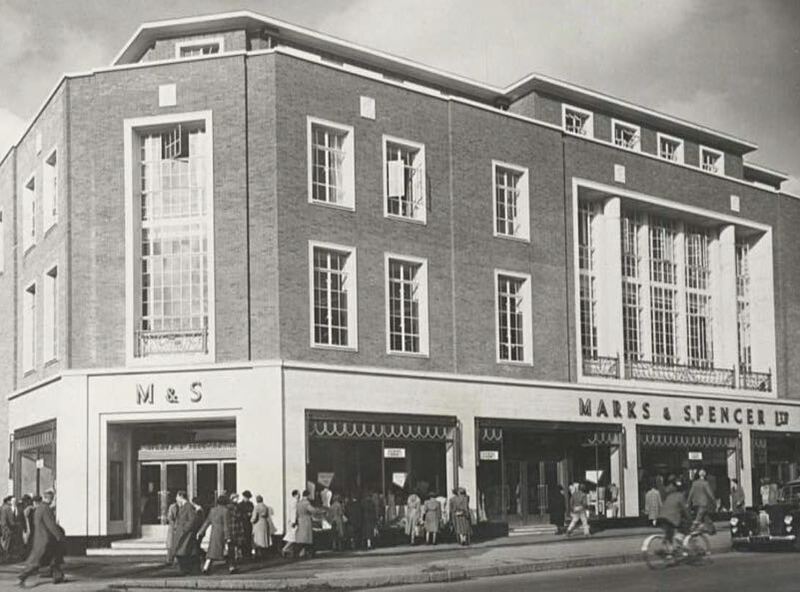 The company acquired the premises on the corner of Queen and High Street that was formerly Waltons Department Store which had closed in 1972. Negotiations for the land and planning permission took tree and a half years, while the build was 18 months. 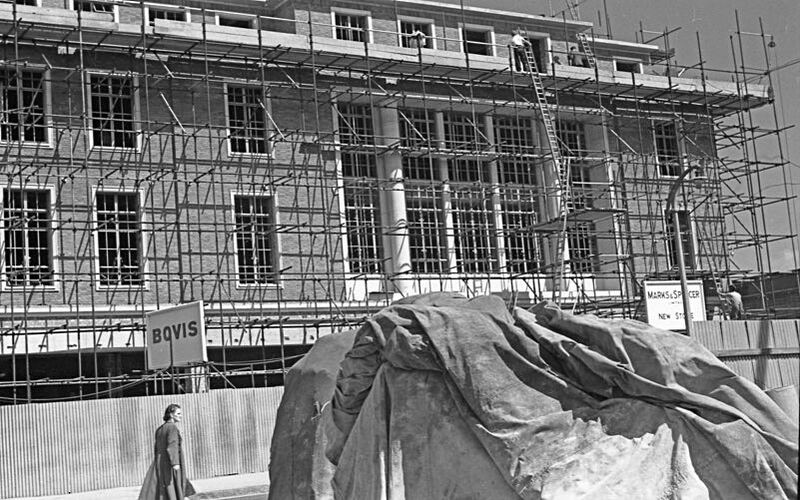 Although the original octagonal dome on the corner was retained, along with a facsimile of the white Queen Victoria statue (5) on the roof, other interesting architectural features were lost, despite promises they would be retained. 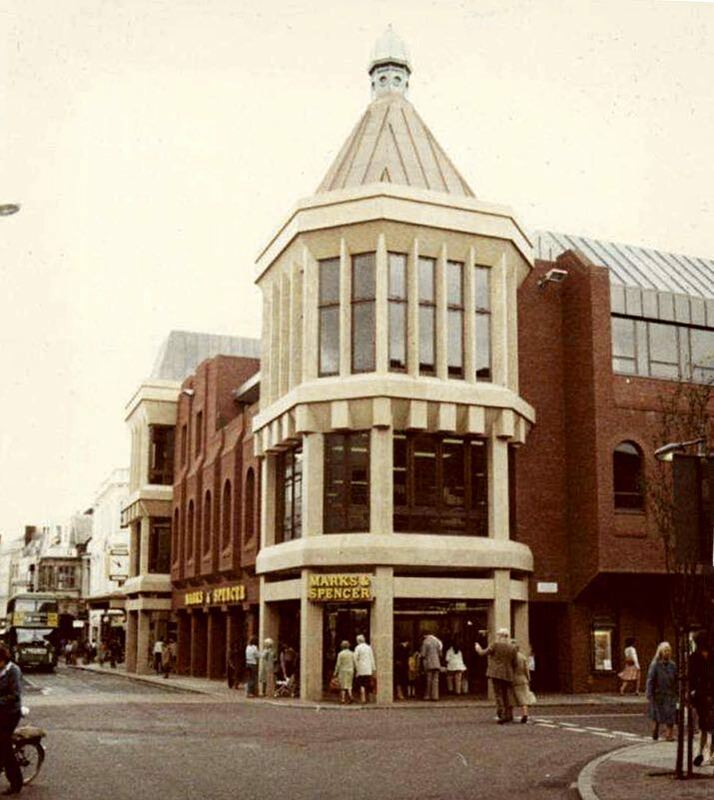 The new store at 211/217 High Street opened in May 1981, with 43,600 square feet over three floors. The store was extended in 1986 by 13,100 square feet. Voluntary work by the staff saw the Marks and Spencer float in the Exeter carnival parade of 1987 win Best Commercial Float and Best Theme award. The company opened a food hall at 4, Exe Bridges Retail Park in December 2011. 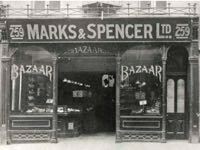 Since then the changing face of the High Street forced by the growth of online sales has seen once well established chains cutting back or closing altogether. 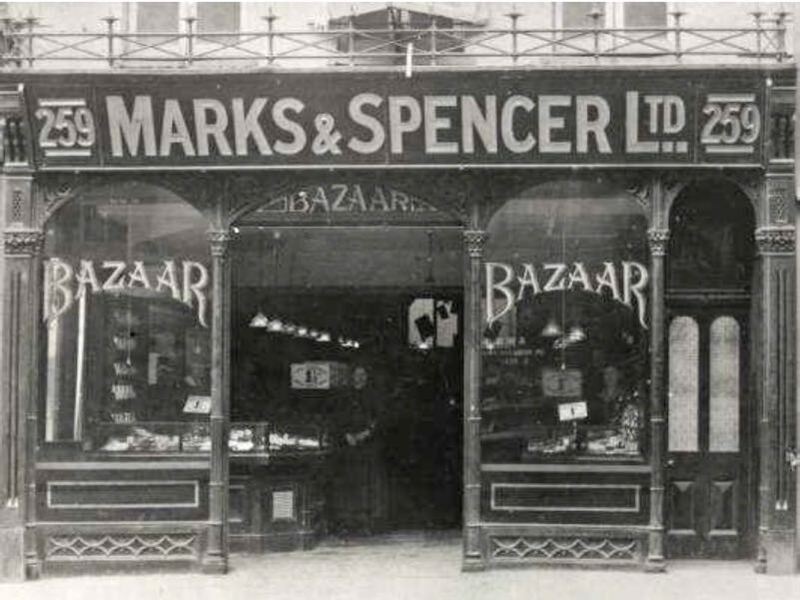 Marks and Spencer in Exeter has escaped this trend so far, and will no doubt innovate its sales pitch to survive increasingly difficult times for bricks and mortar retailing. 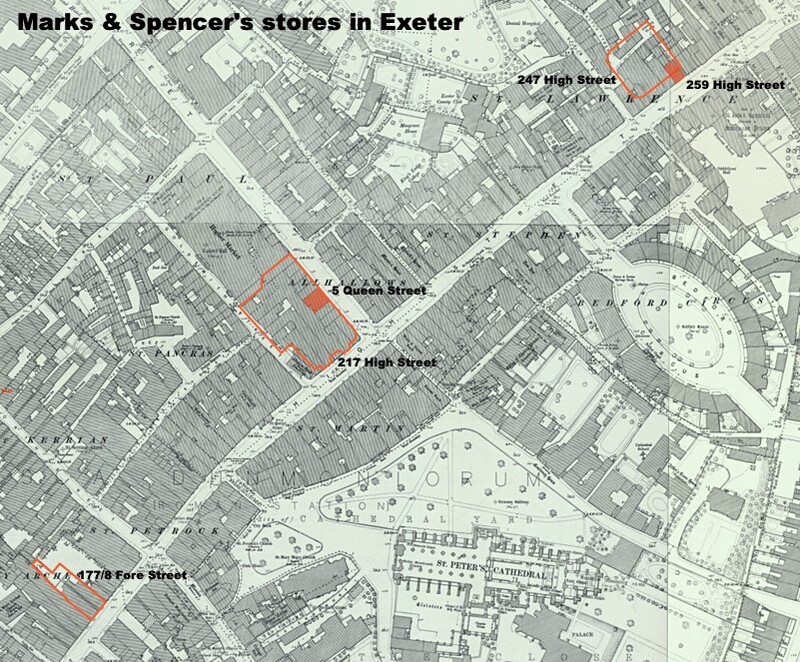 Sources: (1) M&S Company Archive, (2) Express and Echo, (3) Official Records taken after the May 1942 blitz, and (4) various street directories, (5) Exeter Memories. 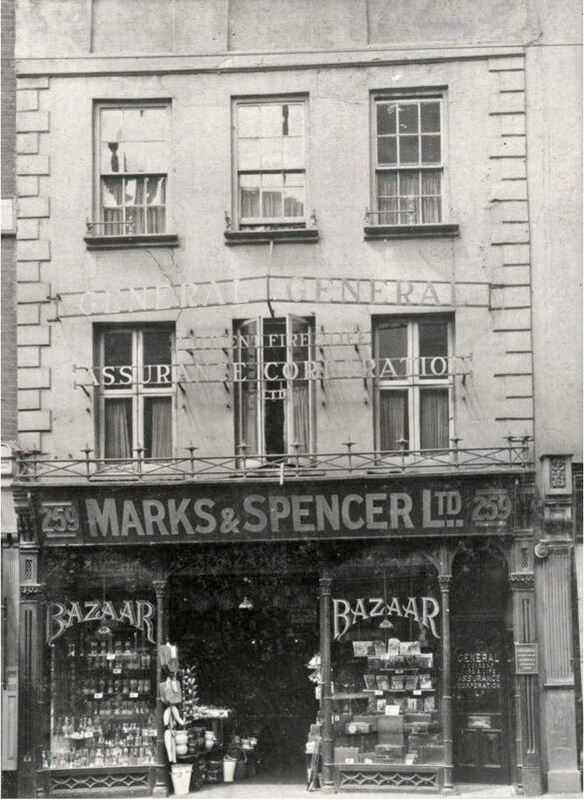 The first Penny Bazaar was at 5 Queen Street. 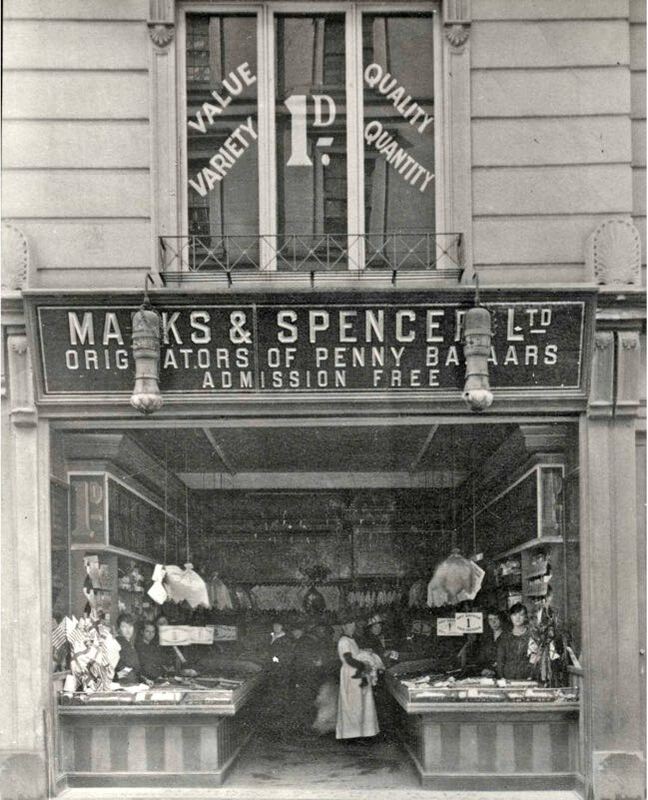 Courtesy the M&S Archive. 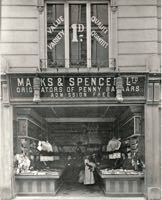 In 1917, Marks and Spencer opened their second store in the city at 259 High Street. Courtesy the M&S Archive. The front of 259 High Street. Courtesy the M&S Archive. 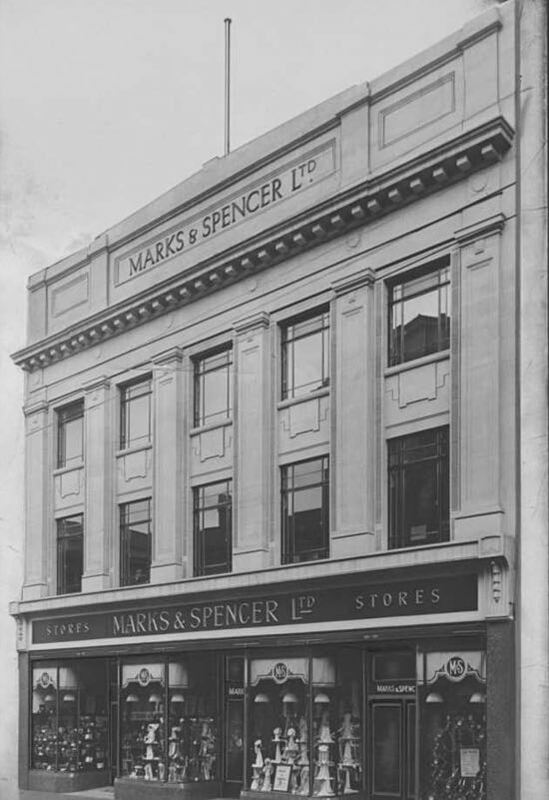 The first purpose built store in Exeter opened in 1929 at 177 Fore Street. Courtesy the M&S Archive. 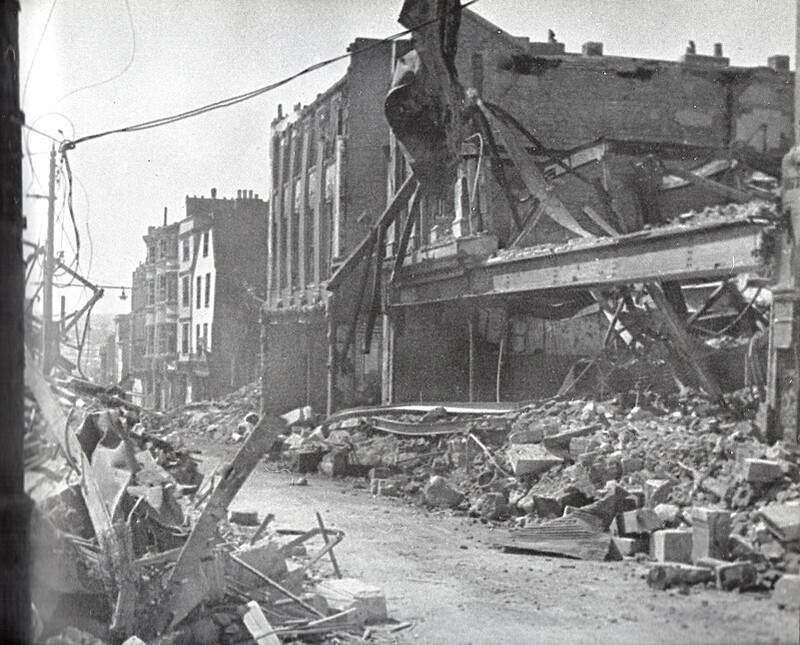 177/8 Fore Street was lost in the blitz. 247 High Street on the corner of Castle Street. Courtesy the M&S Archive. The interior of 247 High Street. Courtesy the M&S Archive. 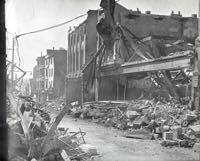 After the destruction of the Fore Street store, the replacement wasn't built until 1951. Photo Maurice Swansborough. 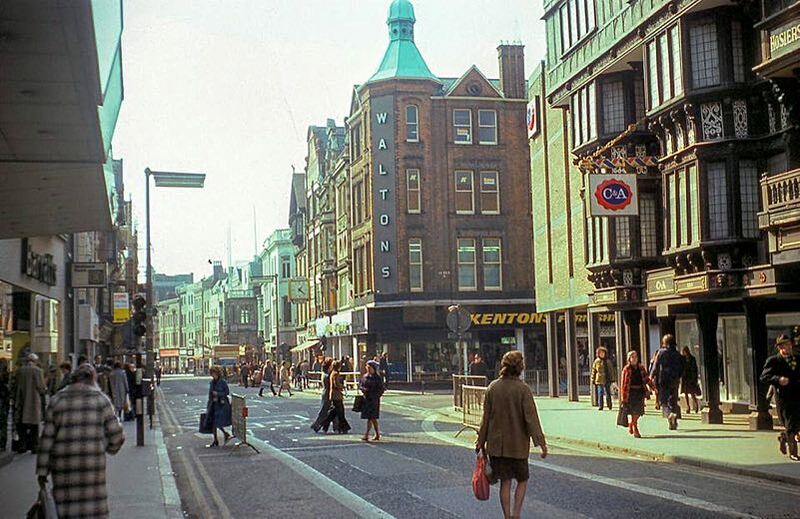 Compare the store at 217 High Street with Waltons above right. Courtesy the M&S Archive. The old Waltons site was chosen as the new Marks and Spencer which opened in 1981.